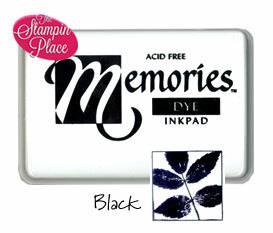 Ink & Stamp Pads are the rubber stamper's palette. A wide array of colors and types are available. View available Stamp Pads. Known for their very bright and opaque colors, pigment ink is thicker and slower to dry, making it perfect for heat embossing. Pigment ink will dry on any surface that is not coated, since it requires absorption in to the surface for drying. Heat setting with your embossing heat tool will speed the drying time when you do not wish to emboss. When using pigment ink on coated stock such as metallic, matte or glossy, heat embossing is required, since the ink will not dry. These pads are filled with clear, slightly (blue) tinted glycerin based embossing fluid which is especially formulated for use with heat embossing powders. Store your stamp pads level and upside down. This prevents uneven ink distribution and keeps the surface fully inked. 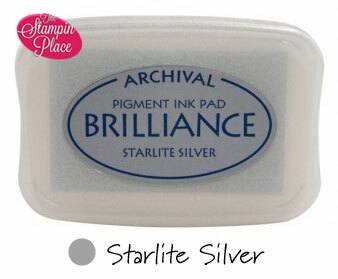 To prevent your stamp pads from becoming muddy, clean your stamps when changing colors. Solid color stamp pads in dark colors such as black, blue or dark purple work best for stamping images which you plan to color. Only re-ink your pad with the same brand and the same color of ink with which it was filled when it was new.